Imagine this scenario: you’re a recruiter and you have a shiny new job to post on your company’s Applicant Tracking System (ATS). You log into the ATS, post the opening, and off it goes – generating new candidate leads every day. After a few days, you review the applicants and decide which candidates should move forward in the hiring process. But if you’re like thousands of other companies in the world, your recruitment process isn’t as simple as interviewing a candidate and hiring them – you want to make sure the person you’re hiring is right for your job. You might need to complete a background check on that candidate, and you want them to take an assessment to measure their fit for the role. Three separate systems with different pieces of candidate information and data. Three systems that your recruiters must utilize to review candidate information. Zero systems that provide a complete look at your candidate pool. At some point, you might decide enough is enough – you need to get these systems talking to each other so your recruiters have one system to work from and see all candidate information. Oftentimes, that process involves coordinating your vendors and spending many long meetings discussing how to integrate all the tools your company needs. You might discover that it will take months of work, or that it’s not possible at all. However, when you work with vendors like Select International, who utilize common technologies and open standards, many HR applications can be seamlessly integrated with minimal effort and development cost. We know how agonizing using multiple systems can be. We are continuing our mission to simplify integrations and make our industry leading assessments available on as many platforms as possible. In addition to offering standard integrations to the leading ATS vendors comprising 60% of the ATS market, Select is happy to announce our latest integration with the SmartRecruiters Marketplace. 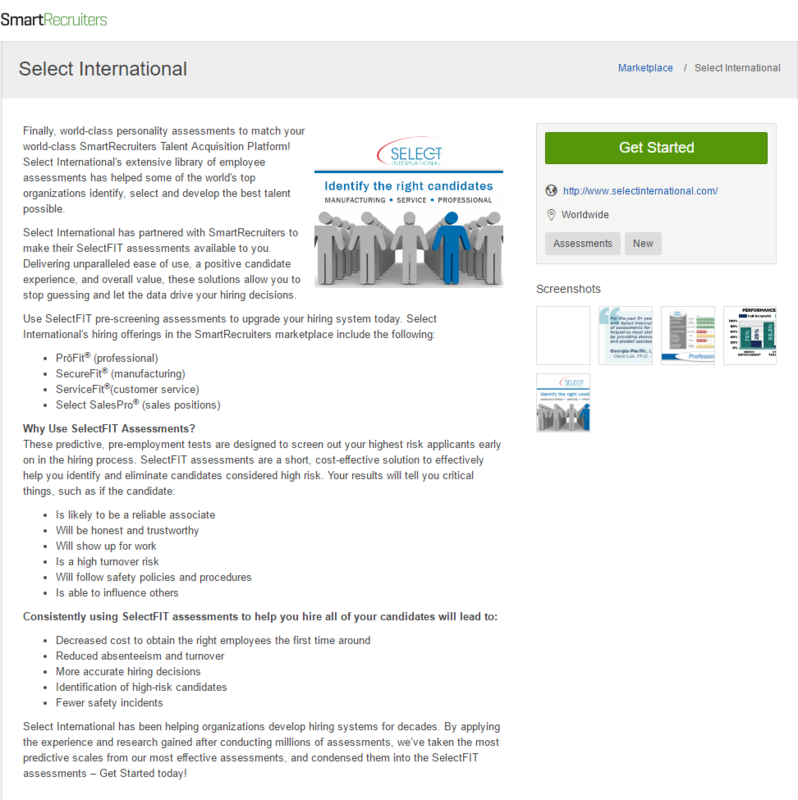 If you’re an existing or prospective SmartRecruiters client who needs an assessment that’s effective and easy to setup, we’ve made it possible! All you need to do is go to the SmartRecruiters Marketplace, select your assessment, and you’re set. No long meetings with vendors, no complicated configurations in your ATS – everything you need is already built for you. Do you need a custom assessment? Not a problem – we’re one click away from being reached via the marketplace. SmartRecruiters allows us to set up customized assessments for a client and make them available in their system in minutes. If you’re looking for more in-depth analysis and consulting expertise, we’ve got you covered there too. All you need to do is click ‘Contact Us’ through the SmartRecruiters platform to reach out to Select International. 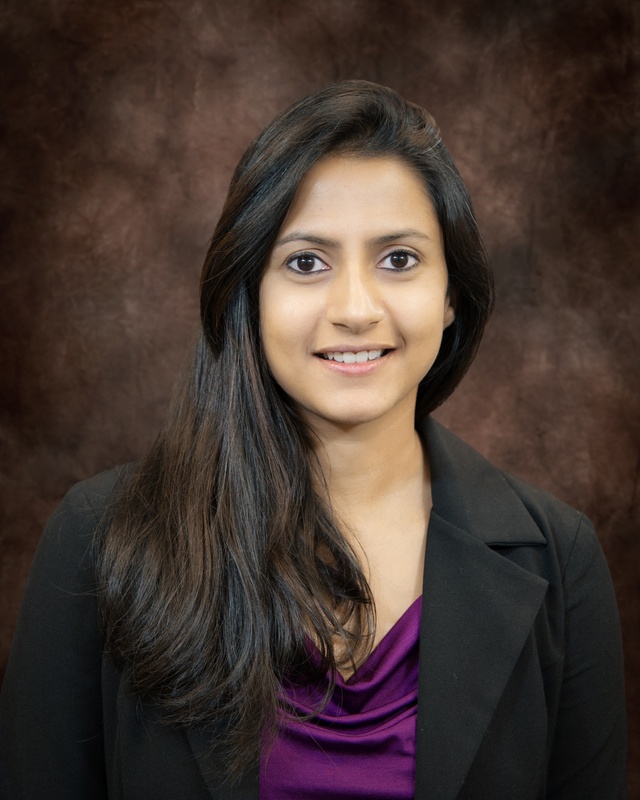 Ramya Ramesh is a Product Owner at Select International and works with the technology and development team to help build and launch new features for Select’s assessment platform. Ramya has experience working with third party application vendors to integrate Select International’s assessment solutions across a variety of HR systems. Ramya’s area of expertise includes Agile Scrum product management, software project management, and business analysis.